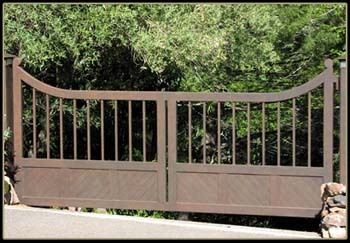 Custom single swing driveway gate. Natural rust faux finish. Custom fabricated post mounted lamps. This gate is automated.